There’s nothing better than days filled with brilliant sunshine, birds singing and trees showing early bloom. Spring is a favorite time of year for many families. It means warmer weather, spring break, bulky clothes begone, outdoor fun and lake season right around the corner. On any given spring evening, young adults, families and people of all ages are on the streets in apparent comfort for their safety — walking dogs, pushing strollers, shopping and dining at restaurants’ patio tables. City leaders and the Downtown Community Partnership (DCP) look to spring to win the confidence of families. The Business Improvement District (BID) team, dispatched by the Downtown Community Partnership, partners closely with Fargo Police Officers to ensure the Downtown streets are more welcoming. We consider them “mobile hospitality.” The BID teams works their zones, picking up trash, providing direction, offering people escorts to their cars if requested and guiding panhandlers to move on when needed. Their collaborative mission is that if it’s not clean and it’s not safe, it’s very hard to get people to come downtown and enjoy themselves. It’s hard to have businesses thrive without people feeling comfortable with positive momentum happening at all times. “As a current Downtown employee, I can wholeheartedly say that I feel safe whether I’m working during the morning, afternoon or evening hours. It’s a great place to be for not only for myself, but for family and friends,” said Chris Schlepp, Operations Manager of BID. With safety top of mind yearlong, spring is almost here and is a season full of exciting family-friendly things to do here in Downtown Fargo. There are many fun places to explore, events taking place as well as many food options, all within a walkable area. 1. Tune up the bikes and start heading out for long rides on the weekends or after school. Start the season off right at The Great Northern Bike Shop, get fitted for a bike helmet and check out all of the bikes and accessories. Don’t forget the bike bell! 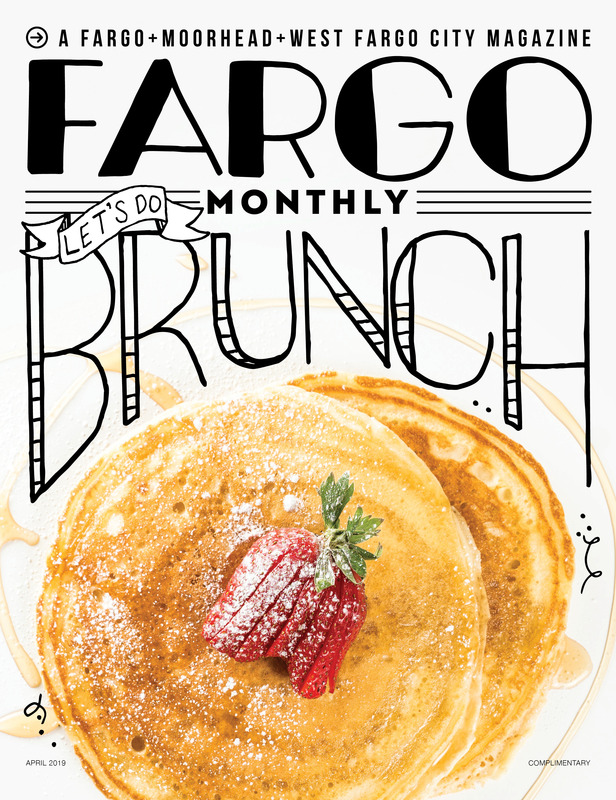 Experience one of Fargo-Moorhead’s largest celebrations on Saturday, March 16. Over 20,000 attendees young and old come to enjoy the parade. Celebrate community and culture with family and friends, because everybody can be a little Irish for this parade. Don’t spend your Sunday afternoon on the couch. The Downtown Fercho YMCA branch offers kids’ gym, basketball gym, Xerzone, aquatic obstacle course and more. Happening on Tuesday, March 19 to Saturday, March 23, this festival is an international festival that features independent, silent and classic films at the Historic Fargo Theatre. This downtown venue features concerts, trade shows, sporting events, corporate functions, community events and more. If you haven’t gone to the Roller Derby, check it out! Their season kicks off Saturday, March 9. With a collection of more than 165,000 books and 10,000 DVDs, the library has plenty for everyone, including children who love stories. They can enjoy live storytelling on a weekly basis. Here, there’s loads of art to spark your creativity. After visiting the galleries, create an artwork of your choice in the studio. Best of all, admission is free. Spark your creativity through art, reading and education. You can learn more about classes available at creativeplains.org. Here, you’ll find a wide range of theatrical experiences for all ages. They have a large summer education program for children as well. Learn more at fmct.org. However, the options don’t stop there..find unexpected art along the streets and alleyways on your way to grab a bite or treat. There are so many family-friendly restaurants to choose from. To name a few, you’ve got Rhombus Guys, Subway, Spicy Pie, Rosey’s and Old Broadway. You can then top off a perfect day with ice cream, candy and dessert from some local favorites like Tea & Crepe Cafe, Scoop & Dough Candy Co, The Silver Lining Creamery and Nichole’s Fine Pastry & Cafe. There are so many ways to enjoy downtown Fargo with your family. What are you waiting for?